See The Fall Foliage Spectacular at Quechee Gorge! Autumn is just around the corner and with it comes leaf-peeping season. 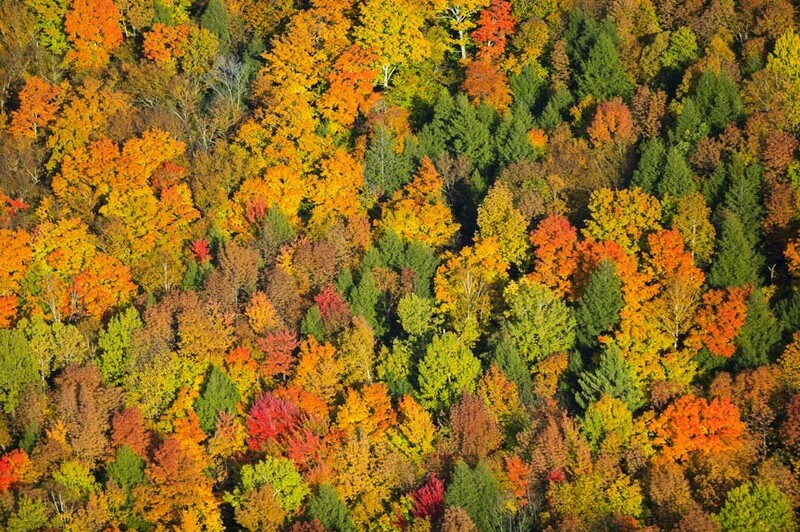 Vermont is known for its gorgeous fall foliage. That’s no truer anywhere in the state than at Quechee Gorge State Park. Is there anything more gorgeous than autumn In Vermont? Stunning reds, golds, browns, oranges, and every other iteration of tone in between interspersed with green. Add quiet country roads, quaint covered bridges, and good, earnest people and you’ve got a fall foliage lover’s paradise. There are an endless number of Vermont drives, hikes, and bike trails a person could explore during this (or virtually any) time of year but one of the first that comes to mind is Quechee Gorge. Quechee Gorge is Vermont’s deepest gorge. In fact, the gorge is sometimes referred to as the Grand Canyon of the East. The gorge was carved by the ceaseless flow of the Ottauquechee River, which, over the millennia, has cut 165 feet down into the metamorphic bedrock. What’s left is a stunning vista of rock, water, and lush vegetation. One of the main attractions is the Quechee Gorge Bridge, which you’ll come to from our Woodstock B&B in just around twenty minutes, heading east on Woodstock Road (US 4). This historic, 1911, two-lane span is Vermont’s oldest surviving steel arch bridge. Amazing and safe views of the gorge are easily had from sidewalks that run along both sides of the bridge. Even better, Quechee State Park is also right here. The park includes picnic areas and the Quechee Gorge Trail that leads down into the gorge. Quechee State Park offers a fantastic way to get out and about in nature with all those lovely, colorful leaves. As we’ve mentioned before, the Quechee Covered Bridge is also right nearby, along with the Simon Pearce flagship store and restaurant. Either or both would make for a perfect addition to your fun fall foliage fun day-trip. Learn more by visiting the Vermont State Parks Quechee Gorge webpage. As we mentioned above, Quechee Gorge is just 20 minutes up the road from our Woodstock bed and breakfast. Deer Brook Inn offers distinctive yet casual Vermont lodging in a stylish, 1820’s farmhouse inn. The unobtrusive atmosphere of our friendly Vermont inn will have you feeling at home in seconds. Book your stay in one or more of Deer Brook Inn’s comfortable guest rooms and suites today!